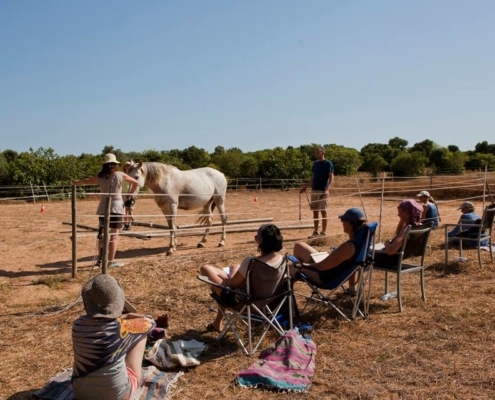 Quinta Vida Boa provides a round pen (16 m diameter) and a riding arena (20 x 40 m) for courses and individual work with horses – both with sea views. 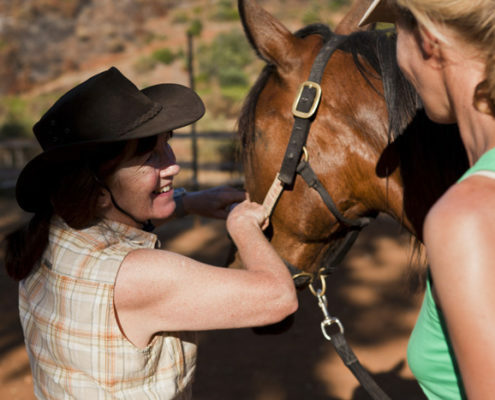 Work on personal topics with THE WORK of Byron Katie, CQM and / or horses as co-coaches. We would be pleased to keep you updated on our current offers. 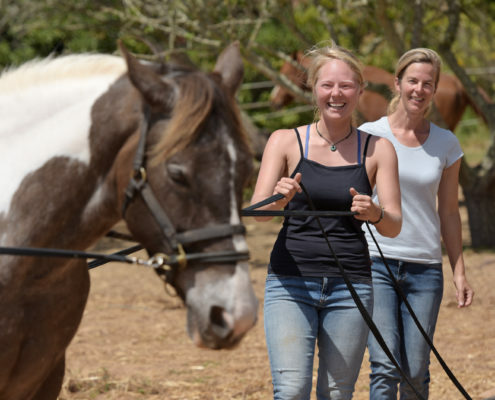 As a certified coach & horse trainer I offer courses with and without a horse in the area of coaching, personality development and training in the Monty Roberts methods. 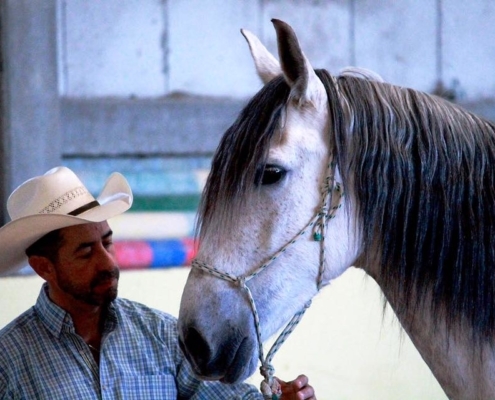 I spent almost three years learning from the “horse whisperer” Monty Roberts in California and was certified by him as an instructor in 2004 (www.montyroberts.com). 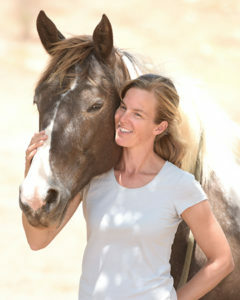 I am a Certified Equus Coach by Koelle Simpson (www.koelleinc.com) and Coach for The Work ™ by Byron Katie (www.thework.com). Furthermore, I practice CQM (www.cqm-hypervoyager.de) and the work of Dr. Joe Dispenza (www.drjoedispenza.com). I love travelling and getting to know new cultures. I’ve been to South Africa, USA and Australia for long periods, and visited every continent. I graduated with a Master of Business MIB from the University of Melbourne, Australia. Prior to that, I completed my M.A. in Applied Cultural Studies in Lüneburg, Germany. My passion is the direct interaction with people: to give them the impulsion to resolve blockages and problems and to transform these into positive energy. 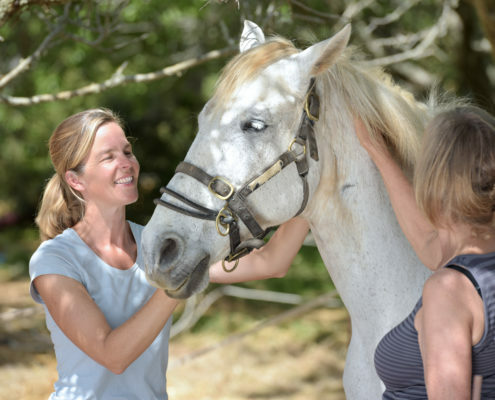 Learn from and about horses in my courses, seminars or individual lessons. 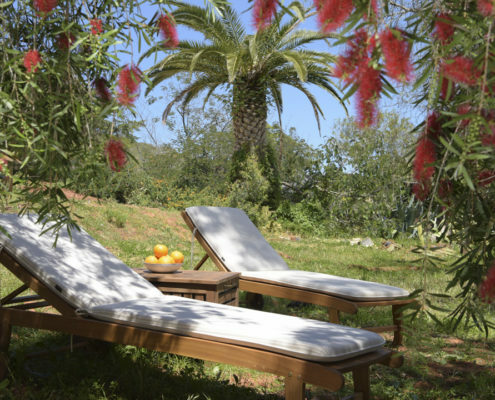 It will be my pleasure to coordinate individually your stay according to your wishes. I’m looking forward to your visit! With much clarity and empathy Anna accompanies the individual process of each participant. 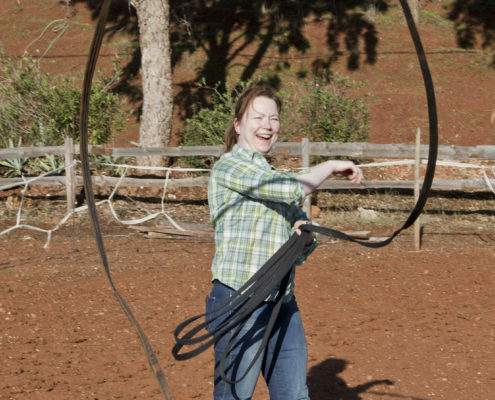 It’s always fascinating to see how fast typical behaviors and patterns show up in working with the horse. Finding and trying out alternatives happens playfully and without pressure. Powerful and physical images emerge and are easily transferable into everyday life. 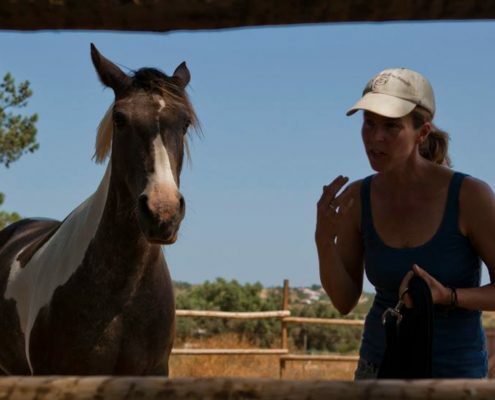 For anyone interested in self-reflection I can strongly recommend working with Anna and the horse as a mirror. Who thinks about attending a course with Anna Kerckhoff de Sacchi is advised: “Yes, do it!” In wonderfully familiar, professional and not least (at the Quinta even in a double sense) warm atmosphere, the participants not only enjoy learning from a great horse trainer, but also from a great teacher – and this combination is certainly not always guaranteed. 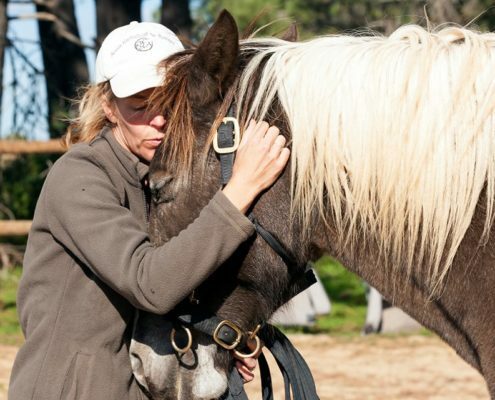 Fascinating how thoughts affect the behaviour of horses and how one can influence one’s thoughts.